There are so many things out there to start collecting. 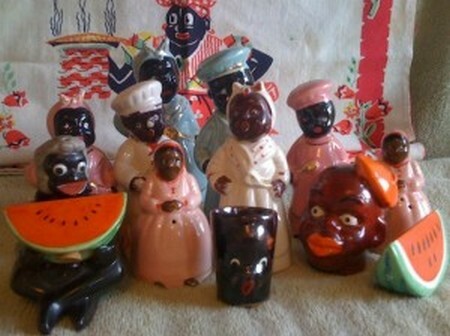 Collecting Black Americana memorabilia is gaining in popularity in the collector’s sector. Black Americana documentation, bits and pieces directly related to the era pertaining to this group and more are gaining historical value. Awareness is increasing about this generation of Americans. The pieces that reflect and tell the details of a people who struggle for equality and value are garnering increased interest in collectors. Anyone who wishes to begin collecting these items should be aware of the scarcity of them. You will not only have to be prepared to hunt down these items, but also be prepared to pay premium dollar for any of your finds. Here is how you can get started collecting Black Americana memorabilia. In your search, look for ephemera items. These pieces were meant to have short term attention. They are offensive caricatures and drawings of African Americans. They may be printed on sheet music, lithographs, labels, posters and on old postcards, a number still survive. They are debasing and may include things like racial slurs and portray African American people in a negative light. These pieces are popular among collectors who seek this type of memorabilia. These pieces are proof positive of the trials and circumstances endured by people of African decent in America. Slavery documentation is another item of high interest. Any paperwork that details the buying, selling, or trading of slaves fall into this category and are sought after. There were not many Slaves that could read or write. Owners, ship Captains or Slave Traders often wrote most of these documents. This paperwork would include Marriage, Birth and Death records (when ever they were kept). These items are not only collectors items, but they are very useful when African Americans go on a search for their genealogy. This process is rather difficult due to the lack of documentation during slavery. Black Americana memorabilia from the entertainment industry before 1940 is worth searching for. Pictures, especially autographed ones, of black Jazz musicians, tap dancers and singers are sure to be the most interesting of these. You may also include actors, record albums and posters from billing if you can find them. Hand written letters are rare, however, not completely out of range. Search for items from Black American pioneers in leadership positions. Before 1960 this was a rare occasion. So, people who are interested in creating historical proofs and record will pay top dollar for these items. Civil Rights era memorabilia is also popular. Some of these items may not go for premium dollar like the ones that are older. They are more easy to find. You can collect items from a particular historical event. Over times these items, like all the rest will increase in value as they start to decline in how many are available.